CNRED community leadership & organizational development educational programs train citizens and organizational leaders to use and apply research and evidence-based methods, tools and data (statistics and stories) to strengthen community relationships, networks and processes for community change. We partner to develop and provide customized workshops and trainings. These programs are available for reservation. Directly engaged almost 1,200 residents in the strategic plan process, including five community member focus groups (small and large-scale businesses, citizens, nonprofits and young professionals). Engaged over 100 citizens at Settler’s Day weekend August 27, 2016. In partnership with the UW Applied Population Lab, created a city fact book. Dr. Allen was Interim Coordinator of the IUAN Community Collaborative Council (June 2014 – December 2015), working with 15-20 community food system organizational leaders to co-create a community-based research agenda and infrastructure that supports Milwaukee’s community food system. IUAN became a cooperative organization in 2016, a partnership of seven colleges and universities, Growing Power, Inc., the Milwaukee Food Council, and the City of Milwaukee Office of Environmental Collaboration/HOME GR/OWN Program. Dr. Allen is co-facilitated with several partners a process for community collaboration and buy-in to not only become an American League of Bicyclists’ “Bicycle-Friendly Community”, but also to encourage neighborhood-based bicycling city-wide. This process became the Milwaukee Path to Platinum Community Coalition, which is now led by the City of Milwaukee Department of Public Works, the Wisconsin Bike Federation, UW-Milwaukee faculty in urban and regional planning and the UWM Director of the Office of Sustainability. 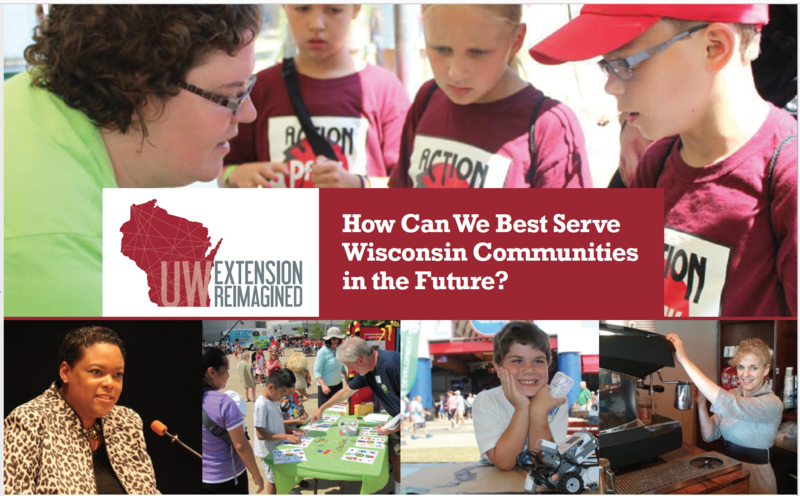 Dr. Allen served as co-facilitator for two Milwaukee County community forums held June 16, 2015 that engaged 71 residents and organizational leaders (Milwaukee County UW-Extension Reimagined). Part of the statewide UW-Extension Reimagined initiative, this program was a part of the national Extension Reconsidered Initiative. This program led into leading the Urban Communities Reimagined project that began November 2016 through April 2018 to engage Milwaukee citizens to develop a National Issues Forum guide on the future of urban communities. The strategic plan process engaged all county parks staff (approximately 200 staff) and county-wide public engagement forums (engaging 67 residents) in actively providing their input on the department’s strengths, areas of improvement, and opportunities. The final plan integrated those elements into annual strategic action items. Dr. Allen was selected as lead facilitator of the Milwaukee County Parks Department 2015-2020 Strategic Planning process.View the County Parks 2015-2020 Strategic Plan. Engaged 20 community development organizational leaders as convener of the Transform Milwaukee Community Development workgroup. Dr. Allen has been an executive planning team member of the Transform Milwaukee Initiative since November 2013. Facilitated a educational program of 37 Milwaukee community leaders who were engaged to develop a county-wide training program for community residents to understand the outcomes of multiple community development initiatives within the communities. That program was adapted by another partner and implemented statewide. Resulted from lessons learned in hiring former Amani neighborhood resident Alice Pugh to support that neighborhood’s resident engagement and capacity building, Dr. Allen partnered with LISC Milwaukee’s former Building Sustainable Communities program director to build the coalition.